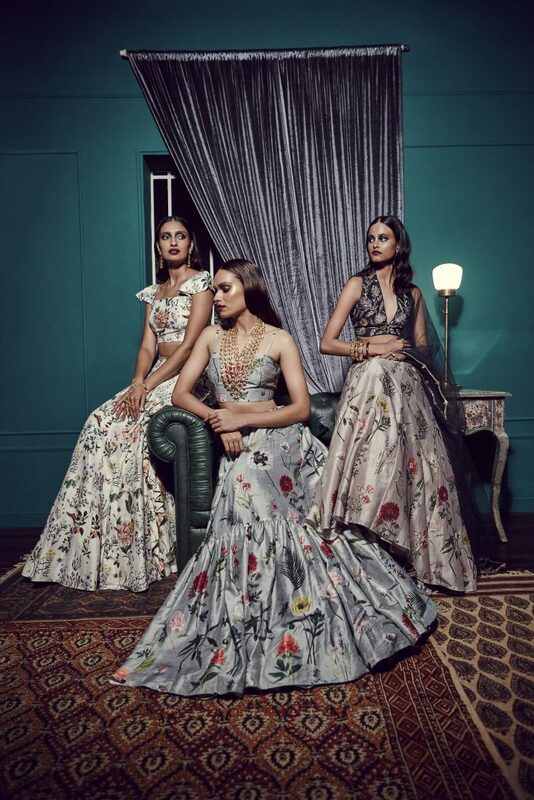 Poise, elegance, comfort, and fun — these are the words that come to mind when you lay eyes on each one of Bollywood fashion designer Payal Singhal’s collections. Every piece is created with intricate detailing, all while keeping in mind the needs of the modern, Indian woman. 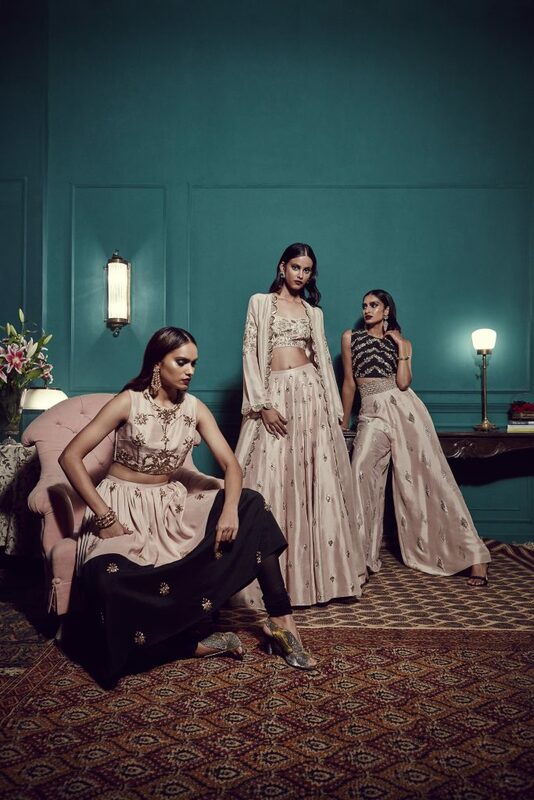 Singhal’s attire is fit for every lady, and she turns the world into a personal runway for each of her muses because of course, everyone will stop and stare at a Singhal piece. Born and brought up in Mumbai, Singhal grew up with the influences of the fashion industry around her. She says that fashion was always within her, and not just because her family owned a manufacturing business, it was a calling, and she knew that fashion is what she was made for. 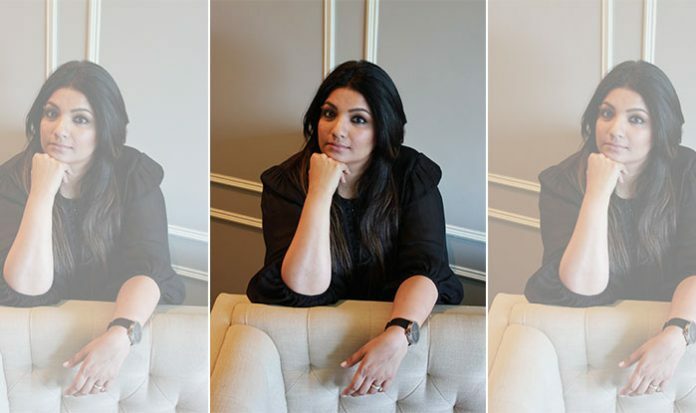 Recently, Singhal was in conversation with Brown Girl Magazine, and what better way to kick off the new year than with a heart-to-heart with the designer herself. When did you first step foot into the fashion industry? I grew up in the fashion industry. My parents owned and operated a garment manufacturing business. The family is definitely my biggest inspiration, and I take it as a school from which I learned the creative and commercial aspects of this career. But, I was into fashion from a really young age, myself. It was something that was within me and not just because my parents were in the industry. I was only in the 10th grade when I took part in an all-India design contest, and I actually ended up winning. A lot of kids wait to finish high school and decide what career path they want to take in college. I had my mind set on the fashion industry at the age of 15. Let’s talk about your first runway experience, the time that you showcased your first-ever collection. When did that happen and how did it feel? So, my first-time runway experience was at the age of 15 at the all-India design contest that I mentioned. I had no idea I had been selected to take part because I was on holiday and I came back to this letter [of acceptance]. I went the show, and I actually had Aishwarya Rai wearing my garment. I don’t think she was Miss. World yet because this happened in 1992. She was a model, and she wore my garment — it was a single garment show. It was an extremely surreal moment because I was so young. My first real runway experience, a full show, was a few years later when I graduated from fashion school in India. I showcased my graduation show collection, and I was 19 then. I had done a black bridal wear collection, and I was at my point of conviction at that time. I remember all my professors were like, “Who does black bridal wear?” I had really put my opinion down on the runway, and it was very well-received, and that was a really big moment. Each one of your collections have a modern silhouette but with an Indian flare to them. 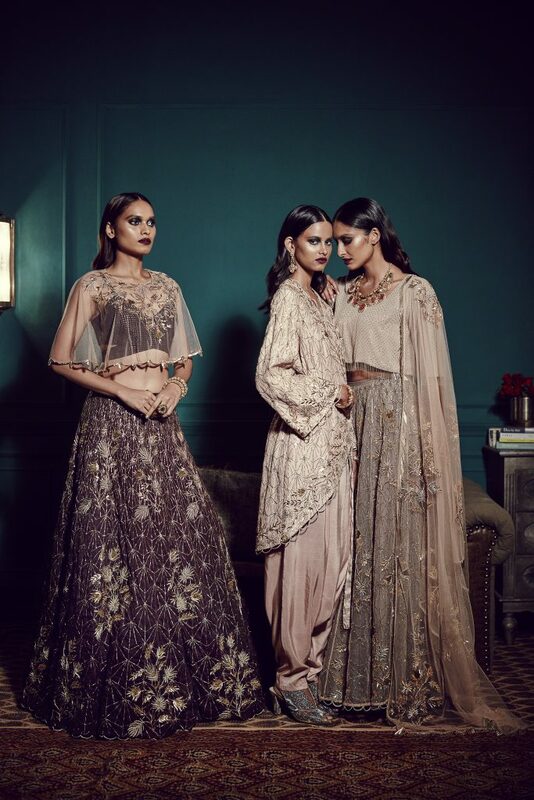 As time progresses, there is more modernity being introduced to South Asian wear. So how do you maintain traditionalism in modern day fashion? 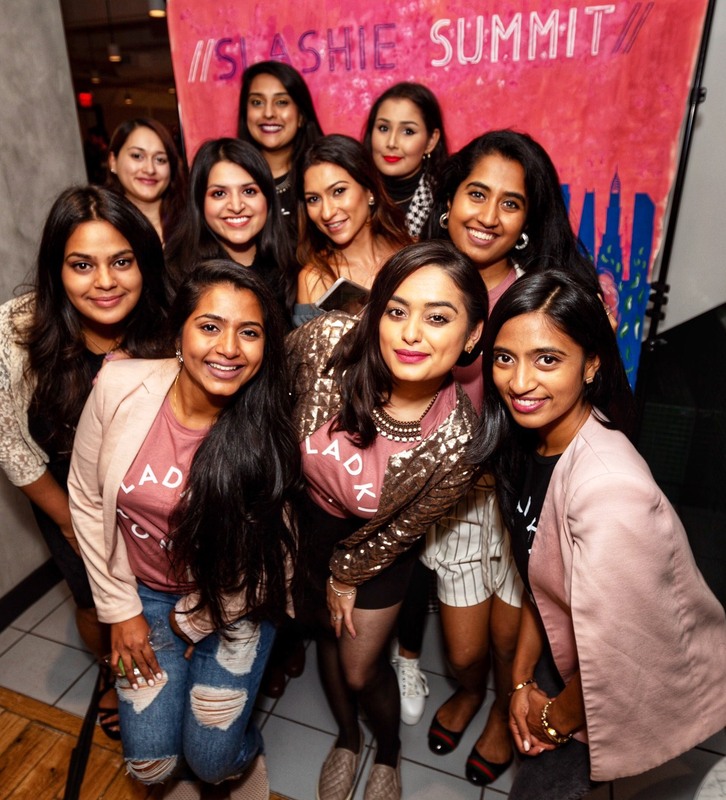 When I decided to start my own business, there was a huge vacuum in the market where there wasn’t enough South Asian wear for people of our generation, who didn’t grow up wearing Indian clothes. We never wore Indian clothes unless it was for an occasion. I started to realize that people of my generation couldn’t really relate to the Indian silhouette — we love it, it’s beautiful, it’s our culture, and we all adore our traditions and our ethnicity. So, I wanted to understand how my collections could be relatable to people my age. That’s how the brand actually started. We wanted to make fun stuff like backless kurtas, short kurtas and palazzo pants, and eliminating the dupatta. 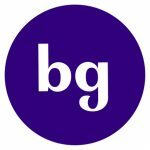 To me, this is the core of the brand. It’s not intentional; my inspiration though comes from Indian art and architecture. My work is very intrinsic and organic, and this is what I feel like making which is clothes for girls on the go, who have careers, jobs, and children; these girls love to wear Indian clothes but during the day they’re wearing Western clothing, and they want to be comfortable in both. You’re collaborating with Megha Desai’s The Desai Foundation. It’s a foundation that promotes women empowerment around the world. Tell me more about this initiative and what it means to you. So the collaboration came about when I met Megha Desai, and she told me about the work she’s doing. Honestly, at that time in my own life, I had reached a point where I was thinking about giving back to society for a really long time, but I hadn’t put it into action. She told me about these vocational programs for these underprivileged women where they teach them sewing skills so that resonated with me. I felt very involved and excited because I was giving my time to this campaign and I believe that it’s harder to impact somebody with your time. So, I felt it was something that was novel and different. We have now dedicated two iconic prints [from our collection] to the Desa Foundation, and we had a few products but now have expanded the product line, so there is something for everyone. There are ties and pocket squares for men, kidswear, and of course, our mainstream Indian wear. We even branched out to accessories like bags and pouches with the same print. Then we donate a percentage of that to the foundation to help them run their schools and vocational programs for these women. How do you feel fashion empowers women? Do you think it plays a day-to-day role in women’s lives when it comes to dressing up and feeling their best? Absolutely! I had someone else ask me what connect is there between luxury fashion and the work I do with underprivileged women? One is that on a day-to-day basis, the fashion business creates a lot of employment. A lot of the people who stitch and sew are women; a lot of our staff is women. So, this is one way we create jobs through fashion all over the world. On the other hand, when you put on a lovely saree or outfit, and you feel like you look good, you’re already empowered. When you walk out the door you feel confident, you can get that job done, finish that meeting, and you can be happy that day because you feel good about yourself. And in a way, fashion has a part to play in all this because it’s our idea of what feels and looks good. Since we’re on the topic of collaborations, let’s touch on the idea of Eastern and Western designers coming together. For example, we recently saw Sabyasachi Mukherjee and Christian Louboutin collaborating. How do you feel about something like that? Do you think that there’s a sense of creativity being compromised when these designers come together? Actually, no. To me, it’s a very interesting blend. I think something beautiful comes out of it. I don’t think there is a compromise because even we collaborate with others in which I bring something to the table and they bring something to the table, and a third thing is born. It’s a win-win situation. In a case of collaborations, both designers have a new dimension to their vision, and it’s just great! Collaborations also are more than business, that’s what keeps us interested — that’s what keeps the consumer interested as well. I think the product that comes out of this is really unique and interesting. What do you look for in clothing when you shop for yourself? Do you prefer Western clothing or South Asian? For Western wear, I shop all over the world. But I like and make super comfortable clothes. A lot of people will vouch for this when I say it even about my brand, that I’m all about comfort. I believe that you can wear something that is stunning, high on impact, looks beautiful and it can be super comfortable and luxurious. I don’t feel that we need to compromise. I hate fussy clothes. I want to wear two pieces — a top and a bottom — and I want those to do all the talking. I want fashion, for me, to be easy and comfortable but I don’t want to compromise on impact. I want my outfit to look cool and have people take notice of what I’m wearing while being comfortable. Usually, I’m wearing low-crotch pants or leggings, or jeans with a low-cut top. So, I do wear a lot of Western during the day. But that goes back to what I was telling you, that we grew up wearing these things, and that is our comfort level. But I also love dressing up in Indian attire for special occasions. Who is your favorite Bollywood muse? *Laughs* This is very difficult to choose, or pick a favorite because you’d get murdered! I have worked with a lot of them, and they’re all fabulous. They all bring different things to the equation. Of course, Sonam Kapoor is number one in terms of being a style chameleon. She can take anything and personalize it into her own. I have a personal favorite who is Neha Dhupia. I love what she does with my clothes; she always takes the outfit to another level. She’ll wear a certain bag or those shoes that are just perfect. A lot of celebrities have stylists, and so does she, but she works with me on her looks, and she brings her individual style into it. Another big favorite of mine is Shibani Dandekar. She has a very rocker vibe, and again, that’s a really interesting point of view for me when it comes to Indian clothing to get this kind of rock vibe into my clothes, and she always does that. She’ll wear my clothes with boots, or a leather jacket, and I love that. Give us one fashion faux-pas you would advise against. Over-dressing! And by over-dressing I mean over-accessorizing. I don’t have a problem turning up at a party and being the best dressed, that’s not the point. But, someone who wears the heaviest set of jewelry they have with the most embellished outfit and a crystal clutch bag — that’s a fashion faux pas! Editing is your god, and you should keep it to one focus piece for each look! What is your go-to trend this season? Low-crotched pants! They’re so cool, and they can go from day to night. It’s such a versatile silhouette. It’s high-fashion and super comfortable! I love that right now!